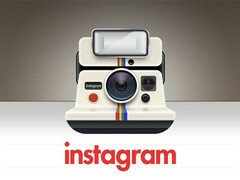 Instagram one of the most famous iOS camera applications has landed on the Android platform. So this might be great news for the anticipating customers of the Android platform. The Instagram had earlier reported as one of the most downloaded application of all times in the iOS platform. Instagram actually provides the consumers with a collection of amazing filters that are capable of transforming your everyday photographs into something which would look a bit professional along with beautiful effects. This application also integrates with social media sharing capabilities. Some of its important features include the Lux works with which one can make the photos look more vibrant, instant sharing to Facebook, Twitter, and Foursquare. It also provides free custom designed filters and borders. The application is designed to run on Android versions on or above 2.2, which supports OpenGL ES 2. The users will also be able to receive likes and comments through this application. The application is available for download in Goggle Play.